IN 1578 A WOMAN in Anvers had given herself to the devil and had signed the contract with her own blood. Shortly afterwards she was stricken with sincere remorse and had an intense desire to make amends for this terrible deed. So she sought out a kind and wise confessor who advised her to go to Father Henry, one of the Fathers of the Dominican Friary, who was Director of the Rosary Confraternity in that town, to ask him to enroll her in it and hear her confession. Accordingly she went to ask for him but met, not Father Henry, but the devil disguised as a Dominican Father. The latter scolded her pitilessly and said that she could never hope to receive Almighty God's grace again as long as she lived, and that there was absolutely no way in which she could regain possession of her contract. This grieved her greatly but she did not quite lose hope of God's mercy and sought out Father Henry once more, only to find the devil a second time, and to meet with a second rebuff. She came back for the third time and then at last, by Divine Providence, she found Father Henry in person----the priest whom she had been looking for----and he treated her with very great kindness, urging her to throw herself upon the mercy of Almighty God and to make a good confession. He then received her into the Confraternity and told her to say the Rosary frequently. One day while Father Henry was saying Mass for her Our Lady forced the devil to give her back the contract which she had signed. 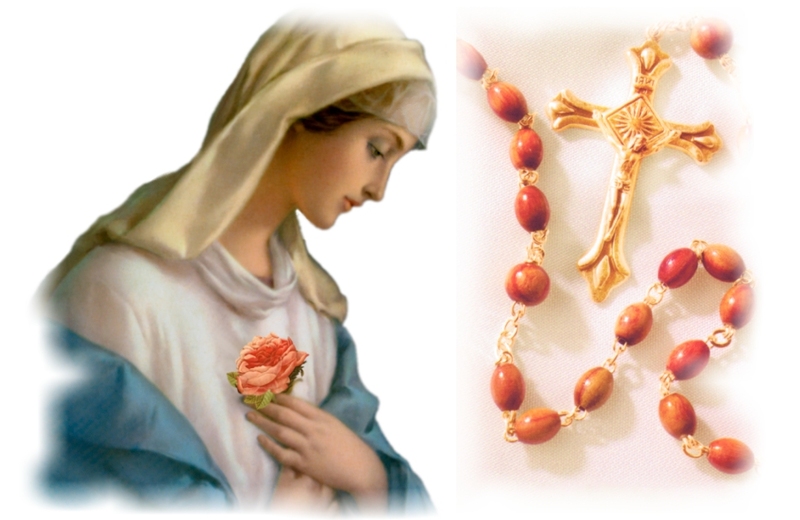 In this way she was delivered from the devil by the authority of Mary and by her devotion to the Most Holy Rosary.